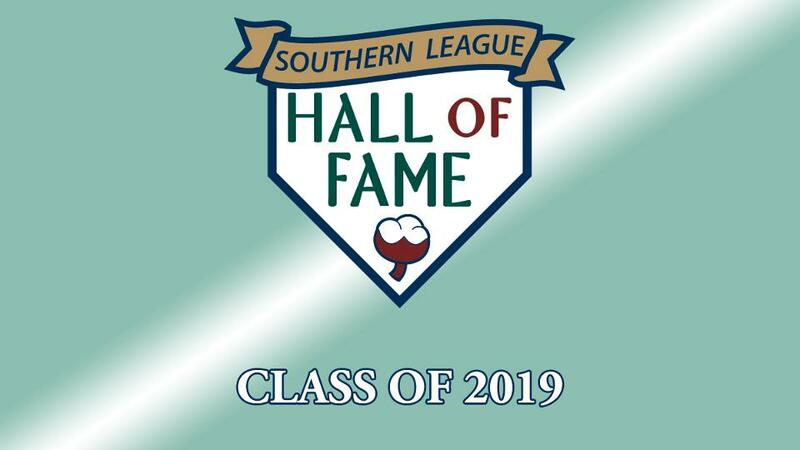 MARIETTA, GA - The Southern League of Professional Baseball Clubs are proud to announce the induction of four new members to the Southern League Hall of Fame. Comprising the 2019 class is: Knoxville/Tennessee Smokies pitcher Roy Halladay, Chattanooga Lookouts infielder & manager Sal Rende, and Jacksonville Expos outfielder Larry Walker. Additionally, the panel of 34 voters elected Joe Engel to the Southern League Hall of Fame via the league's annual Special Consideration Ballot. Halladay, a two-time Cy Young Award winner and an eight-time MLB All-Star, pitched for the Knoxville Smokies in 1997 and again for the Tennessee club during their 2001 campaign. Through his two Southern League stints, the Colorado native combined to post a 4-4 record alongside a 3.82 ERA (30 ER/70.2 IP). With the Smokies in 2001 Halladay continued to make the adjustments that transformed his career. In five starts that season the 24-year-old logged a 2-1 record with a stellar 2.12 ERA (8 ER/34.0), registering three complete games and striking out 29 batters while allowing six walks. Rende joins this year's Hall of Fame class after seven total years in the Southern League. The Illinois native spent parts of the 1978-82 seasons with Chattanooga, combining to log 540 games, 87 home runs, 328 RBIs, and a career .251 batting average with the Lookouts. His 1978 season remains one for the record books, as across 141 games Rende posted the most putouts (1,292) and total chances (1,386) for a first baseman in league history. Rende rejoined the Lookouts as field manager in 1987 before moving on to the Memphis Chicks in the same role and advancing to the 1988 Southern League playoffs. After four seasons managing the Florida Marlins Triple-A affiliate from 1993-1996, Rende began working as a hitting coach and coordinator within the Philadelphia Phillies organization. He was the hitting coach for the Triple-A Lehigh Valley IronPigs from 2011-18. Walker, a 1987 Southern League All-Star, spent a single season in Jacksonville but paced the Expos in doubles (25), triples (7), and home runs (26) that year, helping the club secure a berth in the Southern League playoffs. Engel earns entry into the 2019 SL Hall of Fame class via the Special Consideration ballot, and is recognized for his tenure as President of the Chattanooga Lookouts. The former scout and promoter became known for his publicity stunts which included giving away a house and trading a player for a turkey. In 1960, Minor League Baseball named Engel that year's "King of Baseball" in recognition of his long-time dedication and service to the Chattanooga area. All of the inductees to this year's Hall of Fame class will be recognized by the Southern League prior to the 2019 All-Star Game in Biloxi, Mississippi.